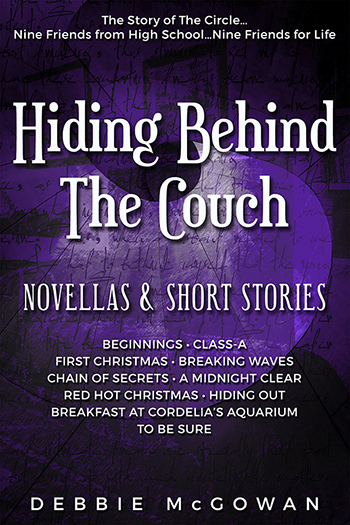 This is a collection of the first ten novellas and short stories in Hiding Behind The Couch: a multi-part series centring a group of nine friends that takes place over the course of many years. While storylines are intermingling, the focus of the story and the point of view frequently change. It is best thought of as a literary soap opera, with seasons and special episodes: some are 'character specials', some are 'festive specials'. As the series is ongoing, and some instalments are written retrospectively, there may later be other short instalments that fall within the time period covered by this collection. Note: if you are reading the series in order, there are spoilers in some (possibly all) of the novellas/short stories.